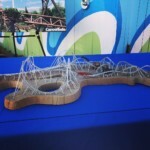 Copperhead Strike is officially open at Carowinds! 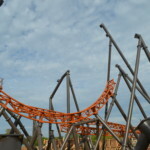 It has a top speed of 50mph, is more than a half mile long and has five inversions (more than any double launch coaster in the world). 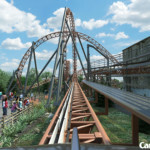 The ride was manufactured by MACK Rides of Germany and consists of 530 tons of steel. 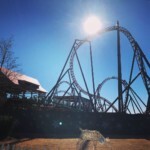 March 23rd is opening day at Carowinds. 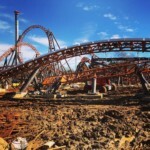 Steve Jackson, Carowinds’ Director of maintenance and construction, says Copperhead Strike is on schedule for a spring 2019 opening. 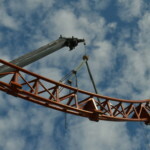 The coaster’s track is in place and the passenger cars should arrive at the end of the month, according to Jackson. 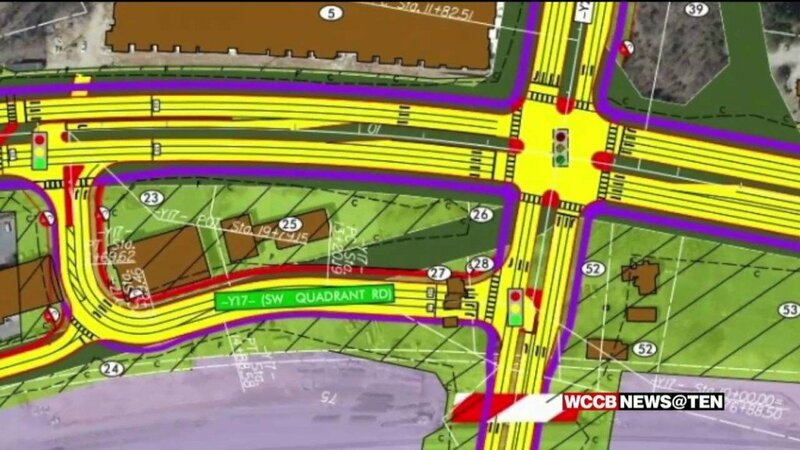 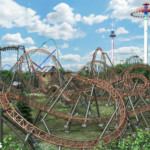 Roller coaster enthusiasts are excited about the double-launch coaster, which will be the first of its kind at Carowinds. 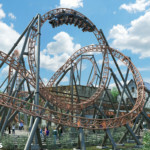 CHARLOTTE, N.C. — Copperhead Strike, the Carolinas’ first dual launch coaster, will be open to the public at Carowinds in the spring of 2019. 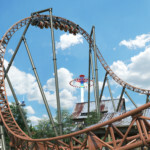 Carowinds says the unique coaster accelerates from 0 to 42 miles per hour in 2.5 seconds during the first launch that occurs after riders depart the station and maneuver through a jojo roll. 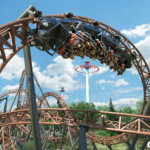 The often close to the ground and winding ride offers a second launch that propels the three 16 passenger trains from 35 to 50 miles per hour in 2 seconds before entering an inverted top hat that is sure to raise adrenaline levels like a high speed getaway. 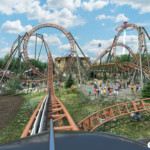 The coaster employs an electric motor to catapult thrill seekers over 3,000 feet of track through five head over heels inversions during the two minute and 24 second jaunt. 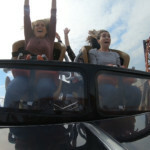 Over 1,200 riders are expected to enjoy the excursion every hour. 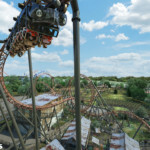 Copperhead Strike is the defining feature of the newly themed Blue Ridge Junction area of the park, an immersive experience inspired by the majesty and easygoing culture of the Carolinas’ Blue Ridge Mountain region. 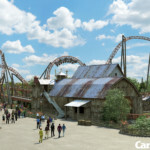 Along with the new ride, Carowinds is excited about the addition of a new onsite hotel, the SpringHill Suites by Marriott at Carowinds, which is a 130-room hotel currently under construction, and expected to welcome its first guests late in 2019. 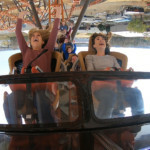 The family favorite Mountain Gliders, formerly known as the Woodstock Gliders, are also making a return in the spring. 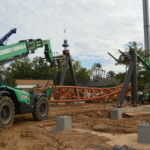 They were previously removed to make way for Camp Snoopy. 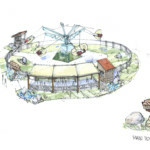 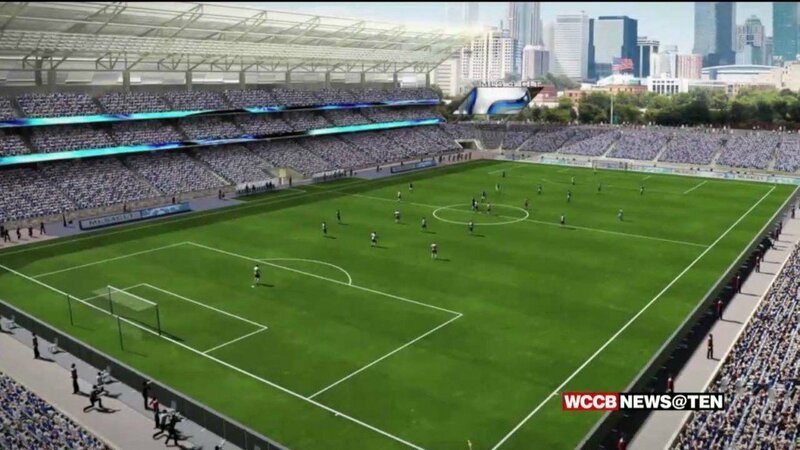 Also under development is a new dormitory to house students from across the region and around the world, allowing the park to initiate programs such as a full internship for travel and tourism students. 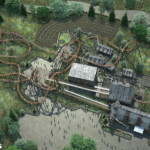 These features, in addition to the new roller coaster and themed area, encompass the largest investment in the park since its opening in 1973.